StayPut by Isagi ECO PER®formance (Polymer Environmental Resin) is a new eco friendly patented material which offers a flexible range of fabrics and matting that is ideal for domestic and commercial use. 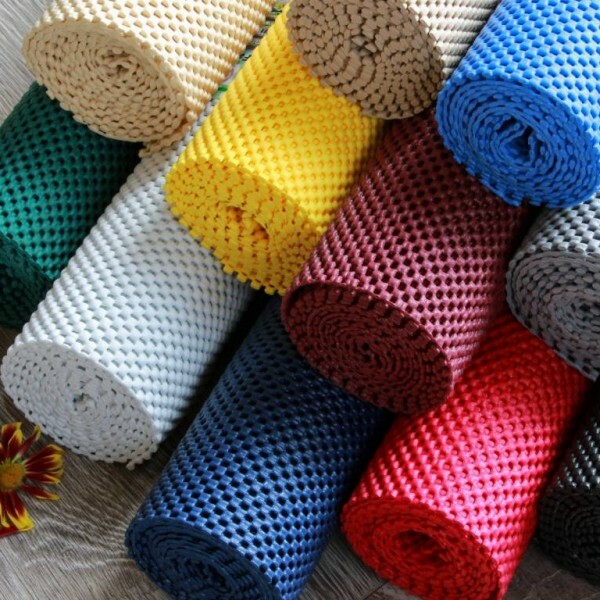 The StayPut ECO PER®formance fabric is made from a unique non toxic resin which is free of rubber and latex, odour free and does not emit any toxic chemicals or gases, the polymer environmental resin is melded onto a mesh, supported by polyester fibres resulting in an open weave construction. The mat has been successfully tested against harmful substances; Oeko-Tex Standard 100- Product Class 1(for baby articles). It is: Non-Slip – Simply, it helps prevent items from moving or sliding. The open weave structure is also free draining, making the fabric an effective non-slip surface even when wet. Non-Stick – Grips without sticking, both the top and bottom surface. Cushioned and soft – Nice to handle as well as protecting surfaces and items from chipping and scratching. Machine Washable – Can be kept clean, fresh and stain free. Easily Cut, and available in different widths – Can be cut to fit any shape and size, from a cutlery tray insert to a full table. Can be sewn  Ideal for applications where the fabric is to be integrated with other materials, i.e. outdoor seat cushions, industrial clothing etc. Open weave structure – Allows for air circulation and free draining. Mould and mildew resistant – Hardwearing and long lasting. Range of attractive colours – Can be co-ordinated with colour schemes. 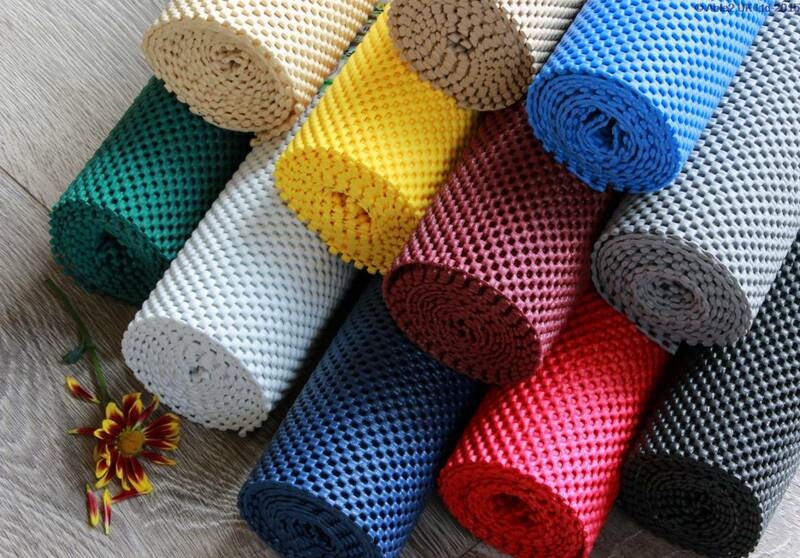 Adaptable – Without a doubt, the most versatile fabric you will ever come across, it can be used virtually anywhere – food safe – non toxic – Latex and Rubber free – Fire Resistant – UV Stable, – Safe for all surfaces, – Biodegradable, – Environmentally Friendly.